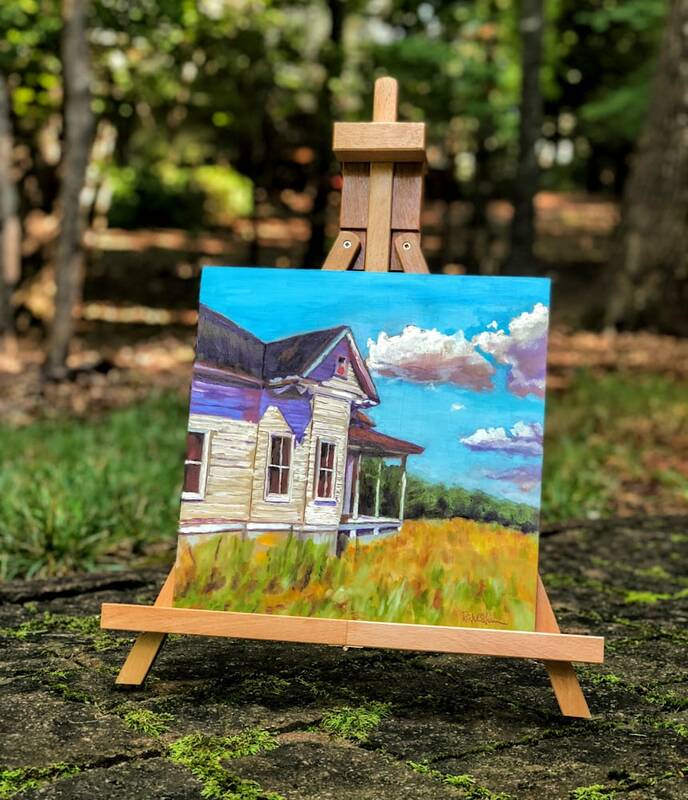 I'm a sucker for painting picturesque farmhouses and farmscapes. 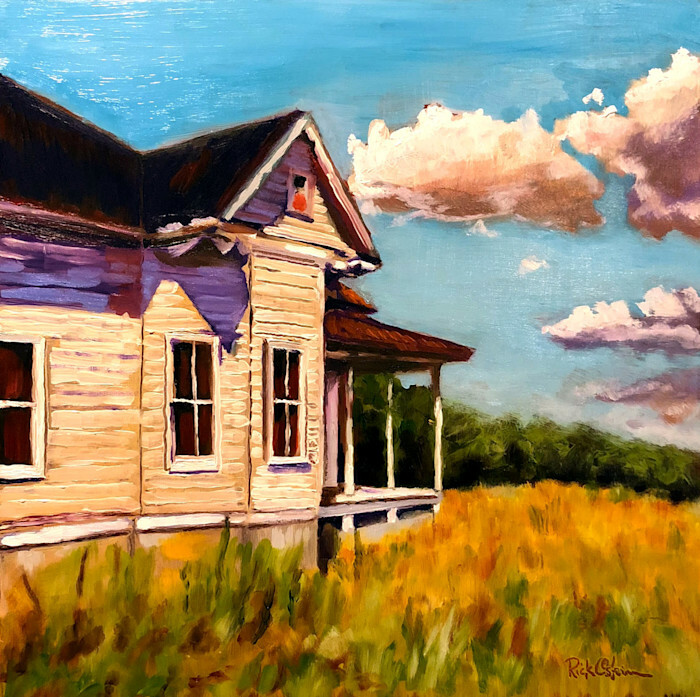 This painting was done from a photo that a friend took of his old farmhouse in North Carolina. Honestly, the photo wasn't all that great, but the angle of the house with the backdrop of the trees and the grassy field inspired me. As with most structures that I paint, I look for the contrast between light and dark values. In order to make this one pop, I used yellows and purples and blues to compliment one another, with a bright aqua blue sky in the background. If this doesn't remind you of grandma and things past, well, move on! This original painting is done in oil on a wood panel. 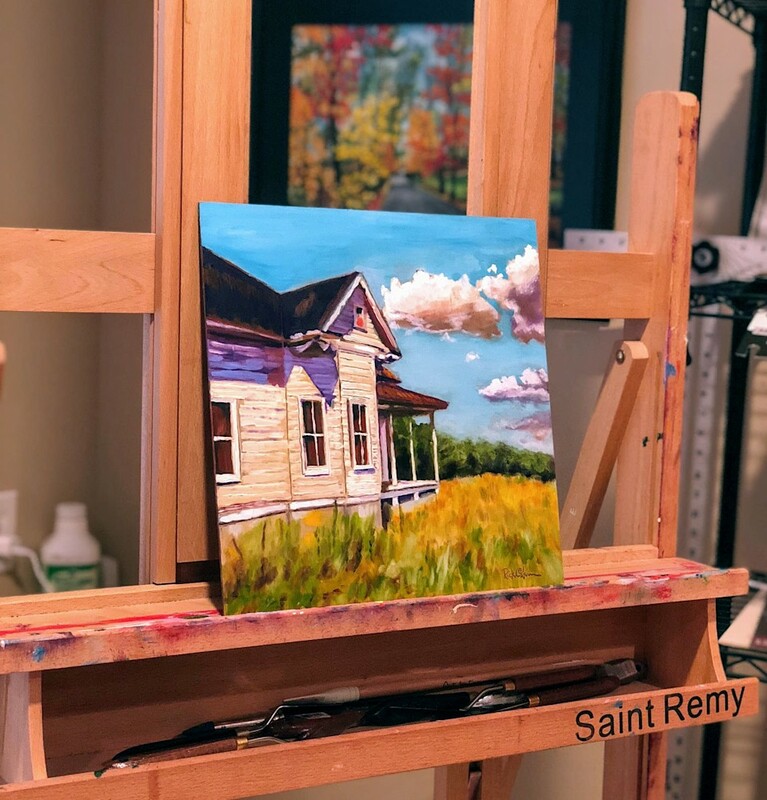 It is 12x12 in size and can be framed for an additional $100.